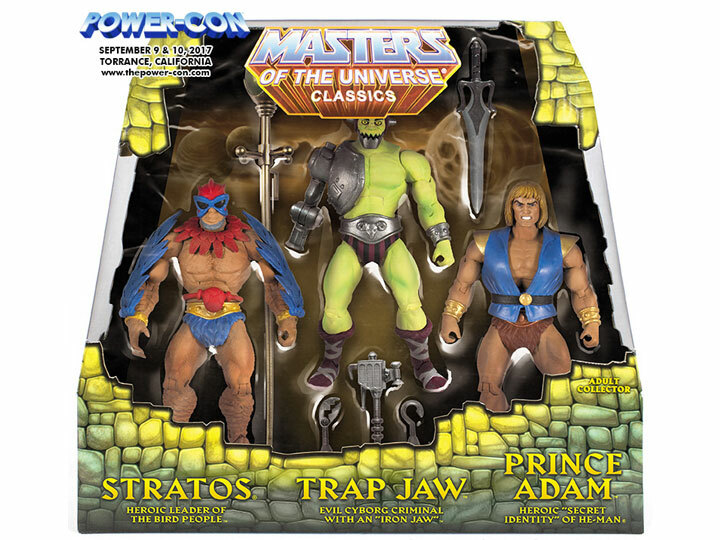 Prototype image shown. Final colors, decorations, accessories, and package may vary. 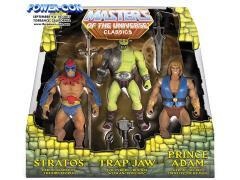 This three-pack of MOTU classics figures is a Power-Con 2017 exclusive and includes Stratos, the heroic leader of the Bird People; Trap Jaw, the evil cyborg criminal with an "Iron Jaw"; and Prince Adam, the heroic "secret identity" of He-Man.